With Real Madrid, his club team, he won three Champions League titles, a league crown and a scoring title. With Portugal, his national team, he won the first European Championship in the country’s history. And individually, he won three world player of the year honors. But about that last World Cup. Portugal was bounced in the group stage in Brazil, leaving the world championship the one trophy that has remained beyond Ronaldo’s grasp. Who’s better, Ronaldo or Argentina’s Lionel Messi? Neither has held soccer’s biggest prize, and this summer’s tournament could be the last chance at capturing a World Cup title for both: Ronaldo will be 37 when the next World Cup kicks off in Qatar while Messi, his longtime rival in Spain’s La Liga, will be 35. 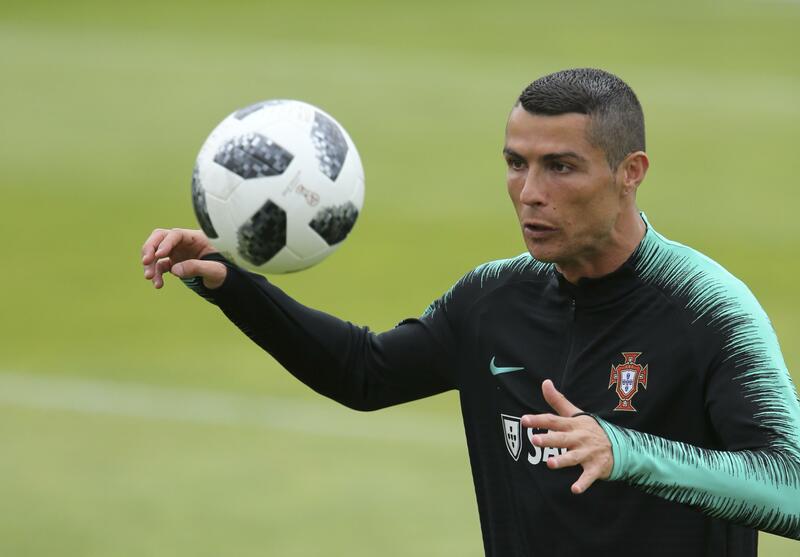 Ronaldo’s first step in Russia should be an easy one since fourth-ranked Portugal was drawn into a group that includes only one other team – No. 8 Spain, which it faces in its opener – ranked among the top 35 in the world. Iran, which Tuesday became the first team to arrive in Russia, and Morocco round out the group. Portugal hardly has looked unbeatable since blitzing through World Cup qualifying with one loss in 10 games, led by Ronaldo’s 15 goals. Since then it struggled to beat Egypt on two stoppage-time goals from Ronaldo, lost to the Netherlands and, without Ronaldo, played Tunisia and Belgium to draws. In Russia, Portugal will go only as far as its captain can carry it. Only two players in history – Ali Daei (109) of Iran and Ferenc Puskas (84) who played for Hungary and Spain – have more international goals than the 81 scored by Ronaldo. But just three of Ronaldo’s goals have come in a World Cup, which remains his Kryptonite. This time, Ronaldo will have a seasoned supporting cast, since more than half the team that won the European title two years ago is on the World Cup roster. Then there’s Messi, who, like Ronaldo, has been named FIFA player of the year five times. The Argentine is even more desperate for a world championship because while Ronaldo has won the Euros – soccer’s second-most-important international competition – Messi’s national team resume is surprisingly sparse. With Barcelona, his club team, he has won nine La Liga titles and four Champions League crowns while finishing first in the league in scoring five times. The best he has done with Argentina is a U-20 World Cup win in 2005 and an Olympic gold medal three years later; both are age-group tournaments. On the senior level, he has gone to three Copa America finals and one World Cup final and Argentina has failed to score a goal – much less win the game – each time. After the last loss, in the Copa America two years ago, Messi briefly retired from the national team in frustration. “I know there is something missing, probably, in their careers. But it’s a team sport at the end of the day,” said Bastian Schweinsteiger, who helped end Germany’s 24-year World Cup drought four years ago with a win over Messi’s Argentina. For Ronaldo, a World Cup title would be the icing on a very impressive cake. He already holds national records for international appearances and goals, and the Euro win ends any debate over whether Ronaldo or the legendary Eusebio is the best player in Portuguese history. For Messi it’s a bit more complicated. No matter how many goals he scores – and he, too, holds the national team record – without a World Cup trophy he’ll always be a distant second to Diego Maradona in the hearts of the fans at home. Argentina will face Iceland, Croatia and Nigeria in pool play in Russia and if it wins the group, it could end up on the same side of the bracket as Germany, setting up a potential rematch of the 2014 World Cup final in the 2018 semis. Neither Messi nor Ronaldo can afford to have this World Cup end like the last one: with someone else taking home the trophy. But former U.S. international Herculez Gomez agrees with Schweinsteiger that both players’ legacies are assured and whatever happens in Russia will be up to their teams, not the individuals. “It’s such an unfair comparison to make. Pele and Diego Maradona are the all-time greats because they won the World Cup. They had better players around them in their generation,” Gomez said. “These are two very good players, two of the best that have ever played the game. Published: June 11, 2018, 6:24 p.m. Updated: June 11, 2018, 5:56 p.m.